Westgate Cottage is a lovely ground floor property located in the village of Borden near Sittingbourne in Kent. The property has one bedroom that can sleep two, a bathroom, separate cloak room with WC, sitting room and kitchen/diner. Outside there is an off-road parking space for one car and an enclosed rear garden with patio and lawn areas. 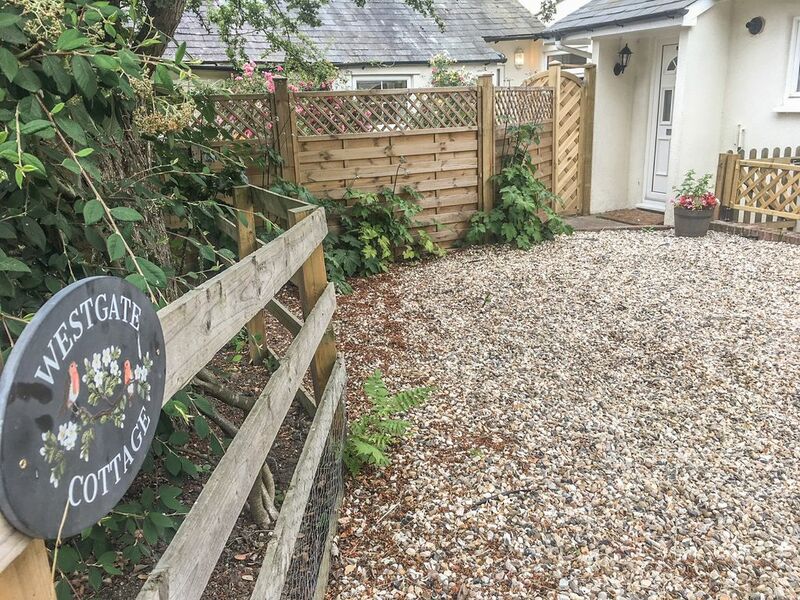 Westgate Cottage is a wonderful property situated in the perfect position for exploring the surrounding towns and cities of Kent. Amenities: LPG heating and electric fire. Electric hob and oven, microwave, fridge/freezer, washing machine, dishwasher. TV with Freeview, WiFi. Fuel and power inc. in rent. Bed linen and towels inc. in rent. Off-road parking for one car. Enclosed garden to the rear with terrace and lawn areas. One well-behaved dog welcome. Sorry no smoking. Pub 5 minute walk. Shop 1.7 mile. Note: Accommodation is on the ground floor but there is a step up to enter the property and into shower. Town: A market town in the Swale District of Kent, it offers a range of shops, pubs, restaurants and cafés. Places worth visiting nearby include Gillingham, Rochester and Canterbury. LPG heating and electric fire. Electric hob and oven, microwave, fridge/freezer, washing machine, dishwasher. TV with Freeview, WiFi. Fuel and power inc. in rent. Bed linen and towels inc. in rent. Off-road parking for one car. Enclosed garden to the rear with terrace and lawn areas. One well-behaved dog welcome. Sorry no smoking. Pub 5 minute walk. Shop 1.7 mile. Note: Accommodation is on the ground floor but there is a step up to enter the property and into shower. Un charmant cottage très plaisant avec tout le confort. Très bien situé. Un accueil charmant et chaleureux de la propriétaire. Nous nous sommes sentis immédiatement comme chez nous. Le cottage est proche de nombreux lieux historiques et de jolis villages, proche aussi de la mer et de Londres. Le tout accessible en 1/2h à 1h en voiture. Nous recommandons chaudement ce cottage. Nous l'avons quitté, ainsi que le Kent, avec regret et y retournerons certainement.